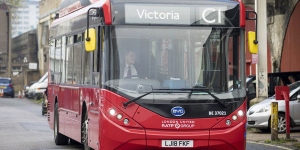 The cooperation between the electric bus manufacturers BYD and ADL has completed it’s order, as 36 electric buses were delivered to public transport operator RATP Dev in London. The Enviro200 EV electric buses, including infrastructure, were ordered in 2017. 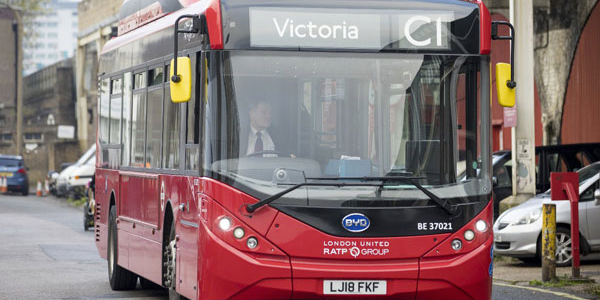 The order has now been completed, with all 36 of the 10.8m buses having been delivered and the charging infrastructure set up at the operators bus depot at Shepard’s Bush. RATP CEO Catherine Guillouard said: “We have been looking forward to the upgrade of this depot, which very tangibly demonstrates our commitment to clean and sustainable travel,” before adding that the company aimed to electrify their entire fleet eventually. BYD and ADL also cooperated with SSL on the power, data cabling and wiring for the charging infrastructure, which features an automatic charging system for overnight charging. Another BYD cooperation is also underway, as the company has teamed up with the logistics company Aramex to deliver ten electric T3 transporters to Amman, Jordan.